The past week has rocked the black community and people-at-large at such an unbelievable magnitude. It has penetrated the healed wounds of old and enfleshed a reality that embarks upon hatred. A mere word in the wind or passing does not ease the sullen anxiety that awakes the project called the black experience in these yet to be united states of america. Mere words are futile in trying to comprehend what would make a person destroy such beauty in Mother Emanuel AME Church. The beauty that is housed in black essence serving a beautiful God while engaged in fellowship in a beautiful site of resistance. This day when beauty was robbed, and left to others to refashion, changed the face of nation. Black people did what we have always done…we persevered. 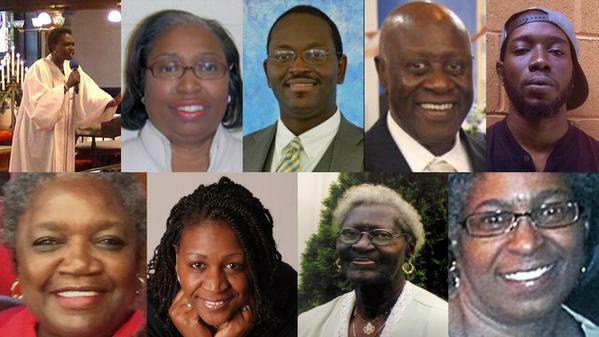 The families of the murdered 9 beautiful people forgave and we lay to rest these saints these week. Answers, I have none but thoughts I have plenty. Questions I have for God…. I feel like God continues to let the black folks suffer at the expense of white America. But then I am eased by the harmonious tune of grace that illuminates the beauty of the Father in spite of my confusion. As the great educator Dr. Tony Everett asks, “Where is God in all of this?” (WIGIAT) I don’t know, but he is somewhere in the midst. He has been in the midst. Maybe he is in riots of the oppressed; maybe he is in the protest in other cities; maybe in was in the hearts of those folks saying take down the confederate flag; he was in the hearts of the families who forgave the young boy; he was in Sharonda Coleman-Singleton; he was in Cynthia Hurd; he was in Rev. Clementa Pickney; he was in Susie Jackson; he was in Twanyza Sanders; he was in Myra Thompson; he was in Ethel Lee Lance; he was in Rev. Daniel Simmons; he was in Rev. Depayne Middleton-Doctor. I salute those Saints who were robbed of their beauty….